There should be no surprises that Hot Toys will be turning their uncannily details eyes towards Batman v Superman ahead of its release next year. 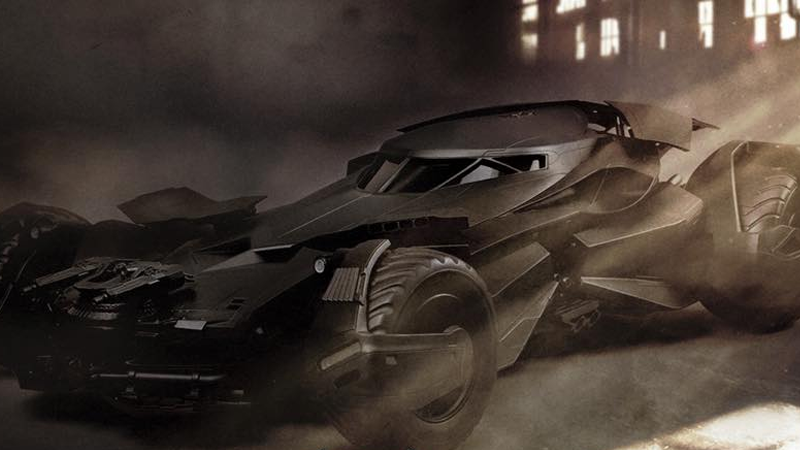 But the company have started lifting the lid on their plans for the movie, and said plans include a rather massive, and rather swanky, Batmobile toy to stuff the Dark Knight into. It looks a lot like a Batmobile, unsurprisingly! So many buttons to press, Bruce, and so little time. Oh god, I know that Batman is rather beefy himself in this new movie, but that neck. It’s bigger than it is in the film! It’s a Batman figure with more neck than actual face. Hopefully that’s just an angle thing or its the material of the cowl billowing out or something, but otherwise, that’s a little more Incredible Hulk than it is Dark Knight. The figures and the Batmobile will have a proper unveiling this Friday at Hong Kong Toy Soul—presumably we’ll know a release window and a price (I’m betting on expensive?) around then, too.